Note: A case was discussed that define “fair comment” in the case of “Tse Wai Chun Paul v Cheng  EMLR 31 CFA (HK)“. I appreciate very much professor Wang spending over an hour sharing his insight with me about How China Became Capitalist and answering questions I have related to the Chinese economy. The following are edited clips of the video interview. By the way, feel free to share your comments and questions. 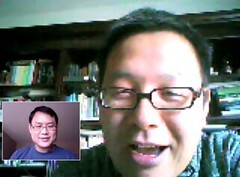 When I finish reading the book, I plan to arrange another interview with Ning to talk more. And I may be able to incorporate some of the comments/questions into my next interview. I have edited the interview into 3 clips with a list of questions/themes. Enjoy. Q1) Can you talk about the Shenzhen stock exchange in mid-90s where it had 300 offices for people to buy or sell stocks when the stock exchange actually had NO official permission to allow for these trades?! Q2) China is now the world largest producer of Ph.Ds. Yet Qian Xuesen (錢學森), a most respected Chinese scientist asked a sobering question before his death in 2009 and the question is known as the “Qian Puzzle”. This is a tough assessment which I agree with very much. Can you share your thoughts? Q4) So far I’ve only read parts of the book but I feel more pessimistic of the possibility in seeing China makeing positive changes. I’m feeling more constrained by the history I now know. Can you share your thoughts? Can you share your thoughts? Q3) What is your and prof. Coase’s main discovery or new understanding gained from the years of research compare to the original understanding in 2008 when you started the research? Q4) Can you talk about research topics that you and prof. Coase like to see more of? Any interesting puzzles worth further research? Q1) Can you talk about the process of writing the book with professor Coase? I understand there was the 2008 Chicago Conference on China’s Market Transformation and then the 2010 Chicago Workshop on the Industrial Structure of Production. Q2) I understand the book title has a history and may be traced back to 1982! Can you talk about it? 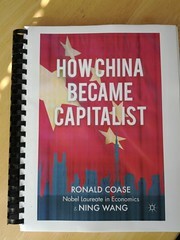 Q3) Given Ning’s Ph.D. wasn’t in Economics, how did he get to write this economics book and meet professor Coase? 1) The book “How China Became Capitalist” currently does NOT have an official Chinese title. I originally translated “How China Became Capitalist” in a straight forward manner as “中國怎樣變成資本主義國家”. And then I found someone else translated it as “中國如何走向資本主義” which seems ok too. But I just realized that a good name can only come after reading the whole book which I haven’t done yet. I thought of using “中國微革 走上資本主義之路” You see, Marginal Revolution is an important concept in the book but its straight forward translation “邊際革命” doesn’t quite work for me. I like “微革” for Marginal Revolution but I am also coining a new term here. So I am not happy but settling for “中國走上資本主義 邊際革命之路” for now. 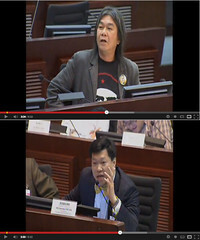 If “資本主義” is too sensitive to be used, I am ok with “中國邊際革命之路” or “中國微革之路”. 2) During the writing of this post, I found a link to a book chapter “The Institutional Diffusion of Courts in China: Evidence from Survey Data” (pdf) by Pierre F. Landry, Assistant Professor of Political Science at Yale University. This book chapter is one of the chapters in the book “Rule By Law: The Politics of Courts in Authoritarian Regimes“. While I haven’t read it, it may be something that is worth reading further. For the record, Ai WeiWei‘s first interview via Apple Daily.